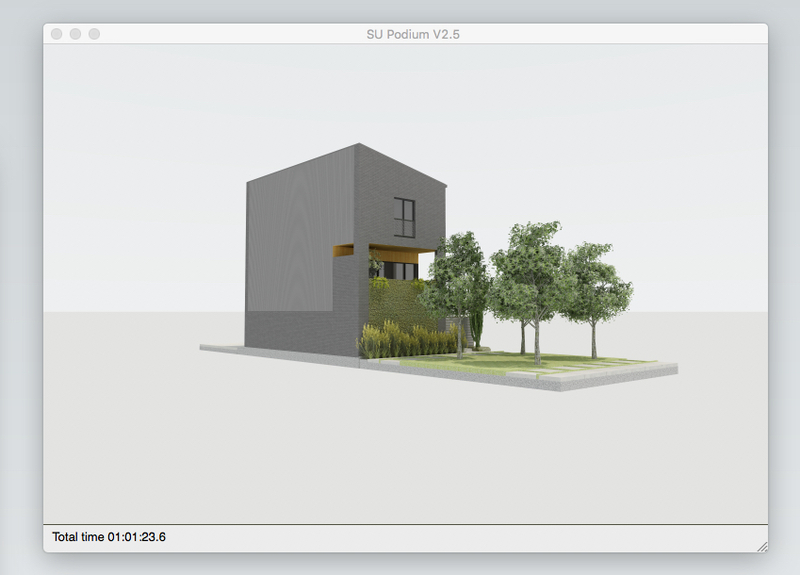 SU Podium and more > Categories > Main Messages Board > Output format and render time . . . I'm just beginning to get my sea legs in SU Podium and have several questions about rendering output. 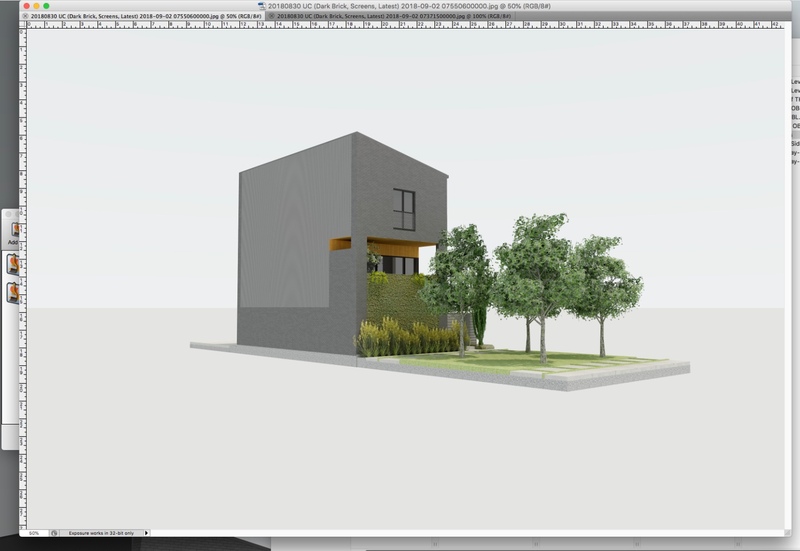 In all my renderings, whether viewed in the Browser pane or as final products are quite small in a large empty sheet. This seems quite wasteful of rendering time, etc, and seems to force very large files in order to get a good resolution on the perhaps 20% of the image one is looking for. 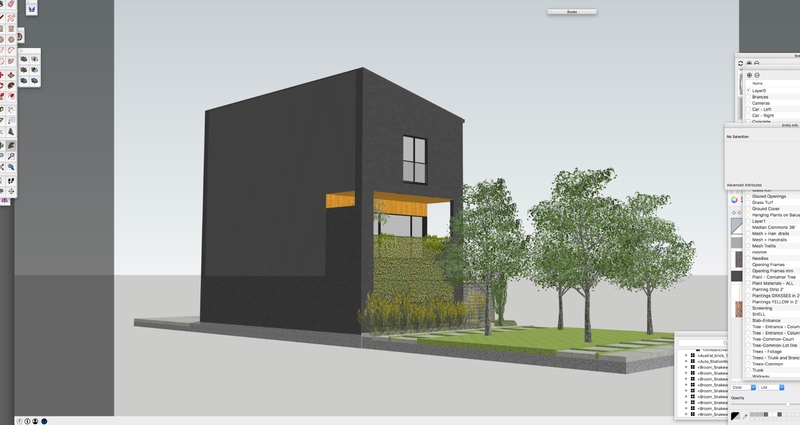 How does one control the 'field of view' in a rendering? What are the settings? I've tried using the Advanced Camera Tool, but cannot get the format of the rendered image to match in extent. How to do this? Shots of my screen image (similar, not identical one) , SU Browser, and raw output are attached. Another question: Is there an easy way (like keyboard toggle to hide all the menus and then show them? Thanks for your help !!!! 1. If you want the model to fill the image - zoom in! Anything over 45 degrees tends to look distorted, so choose your value with care. 35-45 degrees seems to work best, but sometimes, for example when you have small interior spaces, you need to use a higher value.